National Health Investors (NYSE:NHI) announced on Monday the $15.3 million acquisition of an assisted living community in Marysville, Ohio that will be leased to Emeritus Senior Living (NYSE:ESC). The Inn at Halcyon Village is a 76-unit assisted living and memory care community built in 2009. The lease with Emeritus has an initial 15-year term with an option to extend. Rent in the firs year of the lease will amount to $1.15 million with three percent annual fixed escalators beginning in the third year. “We are pleased to expand our relationship with Emeritus Senior Living, the nation’s largest assisted living operator, with the addition of this very high-quality and stabilized assisted living community,” said Justin Hutchens, NHI’s CEO and president. Emeritus now leases nine communities from NHI. CNL Lifestyle Properties, Inc. announced on July 2 the acquisition of The Stratford Continuing Care Retirement Community, a 221-unit, Class A senior housing community in Carmel, Ind. for $22 million. Maxwell Group Inc. will continue to manage the property. Assisted Living Concepts, Inc. (NYSE: ALC) announced recently that Aid Holdings, LLC has obtained nearly all the state licenses for operating its assisted living communities in connection with the planned merger TPG Capital, L.P. Aid Holdings is an affiliate of private equity firm TPG. ALC says the remaining state operating licenses will be obtained by Aid Holdings within the next few weeks, and that the closing of the merger agreement will occur shortly afterward. Healthsense, Inc. announced on July 1 the acquisition of WellAware Systems in a move it says will increase the capabilities of its technology-enabled services platform. The terms of the transaction were not disclosed. Combined, the two companies currently serve more than 20,000 individuals. The acquisition strengthens Heatlhsense’s position in managed care and accountable care networks as the emergence of performance-based care and reimbursement models intensifies the focus on increasing the quality of care while cutting down on costs. Cornerstone Core Properties REIT, Inc. Acquires Assisted Living Community for $8.6 Million. Cornerstone Core Properties REIT announced July 3 it has acquired a 66-unit assisted living community built in 2006 in Aledo, Illinois for $8.6 million. The community has an occupancy rate of 95% and has been triple net leased to an affiliate of Meridian Senior Living, the new operator of the community under a 15-year term. “We are very pleased to add another property to our Meridian Senior Living portfolio,” said Kent Eikanas. Meridian currently operates more than 100 facilities in 12 states, including one of the facilities Cornerstone Core Properties REIT closed on earlier this year as well as others in Illinois. Since its launch in 2006, Cornerstone Core Properties REIT has acquired 20 properties for a total purchase price of $194.2 million. Since 2011, six of those properties have been sold. The current portfolio includes seven multi-tenant industrial properties and seven long-term triple net leased healthcare facilities. UK-based Gracewell Healthcare recently acquired Shelbourne Senior Living, a campus that includes a 68-bed care home and 14 assisted living cottages located in Sway, Hampshire, reports CareHome.co.uk. Kindred Healthcare (NYSE: KND) announced this week it will acquire two home health agencies based in Phoenix and Virginia, further expanding its reach into home health care. The acquisitions come on the heels of Kindred’s sale of eight non-strategic nursing centers for $49 million to Kindred affiliates, the proceeds of which the company plans to reinvest into its Integrated Care Markets and to use toward home health and hospice acquisitions. In addition, Kindred announced the purchase of the previously leased real estate of Kindred Hospital Bay Area-Tampa for approximately $25 million. “We plan to continue our efforts to reduce our lease obligations (our most expensive debt) and selectively grow Kindred at Home as part of our Integrated Care Market strategy, which enables us to better Continue the Care for our patients and provide high-quality clinical outcomes throughout an entire post-acute episode,” said Paul Diaz, Kindred CEO. The home health acquisitions include All Heart Home Health Agency and Hospice, Inc. (“All Heart”), a home health and hospice provider that operates two locations in Norfolk; and Arrowhead Home Health, Inc. and Arrowhead Hospice Centers, Inc. (“Arrowhead”), a home health and hospice provider that operates two locations in the greater Phoenix market. Clearview Capital announced the closing of a $325 million fund last week, Clearview Capital Fund III, LP, which closed in excess of its $275 million target. The majority of the fund’s capital was provided by institutional investors, but other capital was contributed by many of Clearview Capital’s original wealthy family and individual backers, as well as many managers from Clearview’s current and prior portfolio companies. Notable institutional investors include Adams Street Partners, Credit Suisse’s Customized Fund Group, Grove Street Advisors, Northwestern University, and RCP Advisors. Clearview Capital Completes 11th Add-on Acquisition for Senior Care, Inc. Active Day/Senior Care, Inc., a portfolio company of Clearview Capital, LLC, announced the June 20 completion of the acquisition of Guardian Programs Adult Medical Day Care of Glassboro, N.J.
American Healthcare Investors and Griffin Capital Corporation, the co-sponsors of Griffin-American Healthcare REIT II, Inc., announced in June the acquisition of four skilled nursing facilities in three transactions for a total purchase price of about $35.6 million. One of the acquisitions was a two-property portfolio of skilled nursing facilities located in Milton and Watsontown, Pa., for $13 million. The two facilities total about 75,000 square feet and 263 licensed bed and were sold by Millennium Management, an unaffiliated third party represented by Mark Davis of Healthcare Transactions Group, Inc. The portfolio is currently 100% master leased to Mid-Atlantic Health Care, LLC under a 15-year absolute net lease which has been cross-collateralized and cross-defaulted to the existing master lease between Griffin-American and Mid-Atlantic for the five-building skilled nursing portfolio they operate which was acquired by the REIT in 2011. Another skilled nursing facility, this one about 42,000 square feet in Pittsfield, Mass., was acquired off-market for about approximately $16 million from Sheehan Health Group. The one-story, 115-bed facility was built in 1980 and underwent a comprehensive renovation in 1995, with additional capital improvements totaling $1.5 million performed in 2011 and 2012. Pittsfield Skilled Nursing Facility is currently 100% master leased to Trinity Health Systems, LLC under a 15-year absolute net lease with annual 3% rent escalations. The lease has been cross-collateralized and cross-defaulted with the existing master lease between the REIT and Trinity for the seven building Massachusetts senior care portfolio which they operate that was acquired by Griffin-American in 2012. The last acquisition was for Fairview Skilled Nursing Facility, a single-story, 43-unit center licensed to operate up to 102 beds. The approximately 25,000 square foot building is located near a medical center and was acquired for about $6.6 million from an entity affiliated with Regency Pacific. It is currently 100% master leased to Regency Pacific pursuant to a 13-year absolute net lease. Like the other acquisitions, the Fairview facility’s lease has been cross-collateralized and cross-defaulted with the existing master lease between Griffin-American and Regency Pacific for the 13-building Pacific Northwest senior care portfolio they operate that was acquired by the REIT in 2012. Regency Pacific was represented by Don Ambrose and Chris Urban of Ambrose Capital Group, Inc.
NuScript RX, a Nashville-based pharmacy company that serves the long-term care industry, recently raised $8.5 million in an equity offering, according to a Securities and Exchange Commission filing. Twelve investors contributed to the offering, which is not being made in connection with a merger, acquisition, or exchange offer, according to the filing. Rather, the money is slated for building the company’s infrastructure, reports the Nashville Business Journal citing Don Taylor, the company’s CEO. “We have about 100 employees at this point, and it looks like we will double our business within the next 18 months,” Taylor told the Business Journal. HealthLease Properties Real Estate Investment Trust (TSX:HLP.UN) announced on July 2 that its board of trustees approved the acquisition of two senior housing and care property portfolios. One portfolio is located in Ohio, Virginia, and North Carolina with a total of 495 beds, while the other is located in Alberta, Canada, with 468 beds and 283 more under development. The aggregate purchase price for both portfolios, excluding mezzanine financings of the two properties under development, is about $200.6 million (CDN). The U.S. portfolio has five skilled nursing facilities and one assisted living and memory care community and was acquired for $77.6 million (USD). Its acquisition is being financed in part by a term loan for $53.1 million (USD) from PNC Bank, with a 4-year term and a 4.64% interest rate. The other portfolio has six assisted living and independent living communities and was acquired for $69.7 million (CDN). Its acquisition will be financed in part by the assumption of five loans in the amount of $45.2 million (CDN). The five loans have a weighted average maturity of 13.1 years and weighted average interest rate of 4.98%. HealthLease also entered an agreement to provide mezzanine financing of $5.3 million (CDN) for two additional properties in the Canadian portfolio that are currently under development and to purchase those properties upon completion for an aggregate $53.3 million (CDN). 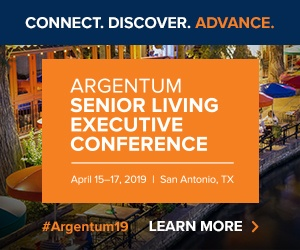 Assisted Living Concepts, Clearview Capital, CNL Lifestyle Properties, Cornerstone Core Properties REIT, Gracewell Healthcare, Griffin-American Healthcare REIT II, HealthLease Properties REIT, Healthsense Inc., Kindred Healthcare, National Health Investors, NuScript RX, Senior Care Inc.